REGIONAL—For more than a decade, the Minnesota Department of Natural Resources, the U.S. Forest Service, and the U.S. Army Corps of Engineers have informed the public that potential contaminants from PolyMet’s proposed NorthMet mine, near Hoyt Lakes, would flow south into the St. Louis River watershed. It was a key issue for many environmentalists, who have been primarily focused on protecting water quality within the popular Boundary Waters Canoe Area Wilderness, located to the north of the proposed mine. But documents obtained by the Timberjay through a Minnesota Government Data Practices Act request reveal that the lead agencies that have overseen the preparation of the environmental impact statement may well be wrong. According to a June 18, 2015, letter from the Great Lakes Indian Fish and Wildlife Commission (GLIFWC), one of the cooperating agencies on the decades-long study, Barr Engineering, the PolyMet contractor that actually ran the water flow model used in the study, made fundamental miscalculations, rendering the results of this key element of the environmental study invalid. Barr works as a consultant for PolyMet, yet the lead agencies have relied heavily on its technical work throughout the environmental review process. GLIFWC, which represents 11 Indian bands in Minnesota, Michigan, and Wisconsin, maintains its own scientific research staff. The agency, based in Odanah, Wis., is the only entity, other than Barr Engineering, which has actually run the MODFLOW model, a highly complex computer program for determining water flow through the environment. The model’s results were used to make a number of key predictions in the PolyMet EIS, including that any potential contaminant flow from the mine site would move south and away from the BWCAW. But GLIFWC’s Environmental Section Leader John Coleman, in his June letter, says his agency’s own model run shows dramatically different results, and points to the primary contaminant flow running north, into the Peter Mitchell pits, a series of taconite pits operated by Northshore Mining, located high on the Laurentian Divide, near Babbitt. The pits, which sit about a mile north of the proposed PolyMet mine, currently discharge in several directions. Upon closure, however, all of the discharge is slated to enter Birch Lake, part of the Kawishiwi River, a major BWCAW watershed. Yet, according to GLIFWC, Barr got it wrong when it set the assumptions while calibrating the MODFLOW model, using water levels within the Peter Mitchell pits that were ten meters too high for the time period in question. With the higher water levels used by Barr, the model predicted that—since water flows downhill— the higher the elevation of the water in the pits, the greater outward pressure and flow of that water towards lower terrain, such as the Partridge River, located just south of the Peter Mitchell pit and adjacent to the proposed PolyMet mine. But if the water level is assumed to be 33 feet lower, as GLIFWC officials maintain was the proper assumption, then the headwaters of the Partridge River would be higher in elevation than the water in the Peter Mitchell pits, and that would reverse the flow of water, and potential contaminants, according to Coleman. “Because of this error, the calibration model has the local direction of groundwater flow 180 degrees reversed from the actual conditions during the calibration period,” states Coleman. Rather than pushing ground and surface water from the Laurentian Divide to the south, lower water levels in the Peter Mitchell pits would essentially move the continental divide to the south and incorporate much of the area surrounding the proposed PolyMet Mine into the Rainy River watershed. According to Coleman, the water levels for the Peter Mitchell pits used by Barr when calibrating the water model were based on 1996 levels, of 493 meters, or 1,616 feet, which were among the highest levels ever recorded in the pits. By contrast, the closure plan for the Peter Mitchell pits calls for an initial water level in the pits of just 396 meters, or 1,300 feet, (more than 300 feet lower than Barr’s assumption) which would have significant consequences for the expected flow of contaminants from PolyMet, according to Coleman. “This result indicates that the contaminant transport modeling, which assumes contaminant flow paths to the south and south-east, is incorrect because it is based on the incorrect assumption of 1996 era water levels in the taconite pits even during closure. Using the project model with the correct closure water elevations indicates that water flows to the north at closure,” wrote Coleman. 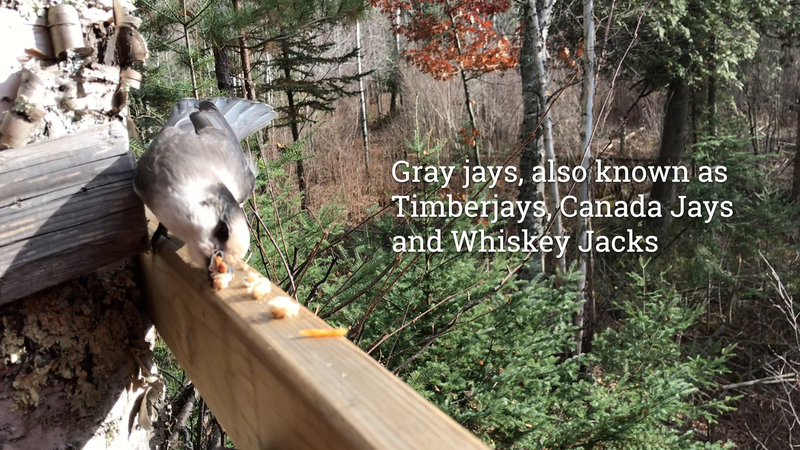 DNR officials, contacted by the Timberjay, note that GLIFWC’s water flow predictions represent new information, which is still being analyzed. “These technical discussions are a normal part of developing the final EIS, and the bands’ participation in the environmental review continues to be an important and appropriate part of the NorthMet EIS,” stated Barb Naramore, Assistant DNR Commissioner. Naramore said the lead agencies are “carefully considering the concerns about the potential for north flow of bedrock groundwater.” The co-lead agencies will continue to evaluate the new information, according to Naramore, and the issue will be addressed in the final EIS. Yet in a June 22, 2015, draft memo, obtained by the Timberjay, the lead agencies provide a more detailed response to GLIFWC’s comments. They indicate that available information “supports a conceptual model whereby water from the proposed NorthMet pits would not flow into the Northshore pits.” The memo continues: “Site specific groundwater monitoring data and the measured lack of surface water effects near the dewatered Northshore pits are consistent with the conceptual model that downward leakage from surficial deposits into bedrock could create a groundwater mound. This would prevent the formation of a northward bedrock flowpath from the proposed NorthMet pits to the Northshore pits,” states the memo. Coleman discounts that possibility. “There’s no feasible mechanism for such a mound to form, naturally,” he said. To address the concern, however, the lead agencies propose a bedrock water-level monitoring program, which they say would provide advance notice of any northward flow and water or contaminants. If such a flow is detected, the agencies say they would undertake “adaptive mitigation measures” to prevent the flow. “Existing monitoring data, in combination with a robust monitoring and adaptive management plan, will ensure with reasonable certainty that any potential northward bedrock groundwater flow from the proposed NorthMet pits to the Northshore pits would be addressed and prevented,” states the memo. In a July 7, 2015, technical memo on the subject, Barr Engineering staff acknowledge that the water levels they used for the Peter Mitchell pits came from a DNR report from 1996 and that water levels in the pit have changed over time. But while the information used in the model may not be accurate, they state it was the “available information at the time.” That can be a legal escape hatch for agencies that prepare environmental impact statements when it later turns out that information used in their analysis was incorrect. According to Barr, “the decision was made in the early stages of the MODFLOW modeling to not attempt to simulate changing conditions at Peter Mitchell given the conceptual model for the site.” Barr officials also noted that the decision never came up in public comments on the draft EIS, released in 2009, or the SDEIS, released in 2013. While DNR officials say that GLIFWC’s concerns will be addressed in the final EIS, which the agency expects to release late this year, that’s not likely to satisfy GLIFWC officials, nor environmental groups. Coleman, in his June letter, also calls for re-running the model using updated information. Of course, reconfiguring the MODFLOW model can’t be done in isolation, since the model’s predictions were used as the basis for other models, such as GoldSim, which predicts the flow of potential contaminants. For the lead agencies, having to redo such fundamental work at this late stage could delay final completion for months, or possibly years. The dispute over the water modeling raises another troubling question about whether the lead agencies have conducted the required due diligence to insure independent verification of the results produced by Barr Engineering. Federal law, which would apply to the U.S. Forest Service and the Army Corps of Engineers, co-lead agencies on the PolyMet project, requires lead agencies to “independently verify” the work of consultants they rely on to produce environmental studies. Yet none of the co-lead agencies has run the MODFLOW model on their own, and the only independent entity to do so has fundamentally challenged the accuracy of the work done by Barr. Federal law also requires that any contractor hired to work on an EIS signs a disclosure form specifying that they have no financial or other interest in the outcome of the project. While the agencies haven’t directly retained Barr, their study relies heavily on the work of the company and the company would appear to have a financial interest in approval of the project. “I don’t think there’s any question in anyone’s mind but that Barr will be assisting in the completion of this mine,” said MCEA’s Hoffman, who contends the situation presents at least the appearance of a conflict of interest. DNR and Forest Service officials confirmed this week that they have no agreements with Barr that would prevent the company from continuing to work for PolyMet if the mine project is approved. Something as simple as this should of been figured out long ago and taken into account present and future water levels in the minds and where the water flows. This is a huge concern y all parties. It is reassuring that GLIFWC was able to run the modeling and show the mistake. I wonder how many more "mistakes" there are? Further, I don't think toxic waste flowing into any watershed is acceptable and am really shocked that the DNR seems to think it is. The people of Minnesota need to rise up in protest at what appears to be deliberate effort to allow pollution to snake ito the Lake Superior Watershed. We must be vigilant in protecting the headwaters of our nation from which waters flow to cherished wilderness and lakes, rivers and streams the nation depends upon. It is time to move from concern to outrage at the nonsense being done in the name of corporate profit. The science is settled (aka climate change) the water flows south. We need to assure that what the Indians are saying is entirely truthful. Helmberger, while he did an excellent job supporting the local people on the school issue, is still a native of Bloomington, MN or as Dave Glowaski says a Twin Cities Tree Hugger. Marshall will continue to call it sulfide mining when in fact it is copper-nickel mining. I don't think that he wants this at all, which is contrary to the hopes and dreams of the locals (not the packsackers). The EIS will address the allegations by the Indians and at this point, I feel the science behind the current plan will prevail. Hoffman is nothing more than a rabble-rouser, a Twin Cities radical that is determined to control our way of life in northeastern Minnesota. And they have the millionaires lining up to defeat us poor little people up here. Come on orrcountry, they just proved water runs uphill! pzebich: Both you and I know that the Laurentian Continental Divide prevents water from going uphill. But the propagandists throwing fear into the two digit brains of the Twin Cities environmental wackos don't. The leaders of the environmental wacko movement know that water does not go uphill. What they really want to do is prevent any mine, that's any mine, from opening and operating in a region that was built on mining. Their ultimate goal is to expand the boundaries of the BWCA...and an operating mine in those areas poses a real threat to their ultimate goal. Trouble is, for locals, their not used to daily political involvement. They have voted DFL for so long, they have become accustomed to the DFL to take care of them. Fact is, the DFL is behind the battle to block these projects. Until our locals wake up, get active like they did in 1964 and 1978, the wackos may possibly win. At the risk of disappointing some of the true believers, like orrcountry or pzebich, it is actually the original water model produced by PolyMet's consultant, Barr Engineering, that predicts water will run uphill. Keep in mind, the water surface in the PolyMet pit (if mined) is projected to be at an elevation of approximately 1,575 feet at closure in 20 years. The water level at closure for the Peter Mitchell pits are slated to be at 1,300 feet. These two pits are located about a mile apart and are separated by highly fractured bedrock. It doesn't take a genius, or even a computer model, to figure out which way at least some of the water from the PolyMet pit will flow—towards the Peter Mitchell pit, which drains into Birch Lake. The problem was that Barr Engineering used a water surface elevation in the Peter Mitchell pit of 1,616 feet when they calibrated their model, and that's how they got the water from PolyMet to flow south. GLIFWC took the same model, used valid water levels in the Peter Mitchell pit and the model reverses the water flow. No big surprise. Water likes to flow downhill. Maybe orrcountry doesn't care about such things, but I think most Minnesotans would rather get this one right. One final thing. Other than GLIFWC, only Barr Engineering, which works for PolyMet, has run the water model. Neither the DNR, the Forest Service or the Army Corps have run it. Barr generally has a good reputation but they do have a conflict here since they stand to benefit financially if the project is approved. It's the same conflict that taints drug testing by pharmaceutical companies or those "studies" that the cigarette makers used to tout that showed smoking was harmless to your health. When profits are involved, peer review is essential and that's what was missing here, until GLIFWC took a look. And their assessment is pretty withering. Most Minnesotans, of which I am one, wish to get it right. But unlike Southern Minnesotans (Twin Cities), I wish to have our communities survive. The rampant attacks on the project coming from non-native residents of northeastern Minnesota is troubling. As Marshall well knows, I have never unequivocally endorsed the PolyMet project. I have advocated that managers, especially those that Jim Swearingen (former General Manager of USS-Minntac hired) sign a pledge that their children, grandchildren, great grandchildren and great-great grandchildren will be responsible financially if they manage this operation like they did Minntac. Seems like a stretch, but how do you control these people who are violators of environmental regulations while working for the largest steel operation in America? The process is only as good as the managers who implement the policies. At Minntac, they routinely cut corners and hid activities from the EPA and the MPCA. And utilizing a "power down" management style, they kept the employees out of the dark and intimidated them if they called MPCA, MSHA and the EPA. While they may be crooked, and they are, the environmental wackos spewing false and scary information are no different. Look at the EPA creating a mess in Colorado, New Mexico and Utah. Not surprisingly, no critical editorial in this newspaper dressing down the EPA for negligence. Nope, those are the newspapers "people" and doggone it, we are going to back them right or wrong. Let's get this project right, but let us not stand in the way of getting it up and running. Our communities, schools and people need it. The EPA mess your talking about was a accident waiting to happen from 1 of 1000 of abandoned mines that nobody wanted to take responsible for their actions. The accident was caused by a private firm contracted by EPA and yes probably supervised by the EPA. local officials and the tourist industry wanted to keep in low budget and low profile so tourists would not notice they had a problem at that site and many others across the state. It backfired on the them not admitting they have a problem. Shoe: And so, are you making excuses for the EPA, but if it was the company, you would slaughter them ruthlessly? Absolutely not,EPA admitted that that they and the contractor made a mistake on the release. They admitted they(EPA) made a mistake with the doing something wrong in the newspaper and on TV. They upped to it their was a goofup. My point was that the many parties involved iniatially(sp) tried to take a short cut in cleaning up the abandoned waste site by not having enough money and personnel to work the site. Thus potential is greater for mishap like what happened. Also with so many abandoned mines and wastes these kind of accidents are going to happen because of human error or natural disaster. It is happening quite often out west with different magnitudes of problems. I am sure the exact sequence by The EPA will not happen again. This is an emotional, complex issue. We are all trying to figure out the best way forward- one that is intelligent and fair to all. Please stop using bullying tactics, such as calling Southern Minnesota- Twin City residents names and accusing those peoples as a whole of being stupid environmentalists. I am a citizen of Minnesota, living both in Ely and Minneapolis. I am a tax payer with most of my wealth committed to my home in Ely. I depend upon the "up north way of life" as I define it for myself, my children and beyond. Have any of you considered the devastating affects a damaged landscape to those who make their living in the tourist industry? How about those of us who work hard, and then come to Northern Minnesota to spend our earnings? An environmental disaster could wipe out all that I have worked for my whole life. See? There are other perspectives here. For many many years I have heard terrible things like -" those 612ers.... " and so on.. In negative ways. Well, this 612er has given hundreds of thousands of dollars "to the area and it's way of life." Please stop using negative buzz words and statements. We are all trying to understand the best use for our land- that includes creating jobs that are safe, sustainable and smart. Again, please respect all opinions and refrain from negative talk. This is not helpful in any way. Road Trip, I was born and raised on the range and live here year round. I would like to apologize for some of my childish, territorial, fellow rangers up here. We are not all like that, and we appreciate your contribution to our economy.